The bakery has been in operation since 1986. Ben & Sarah Wood first opened as Otter Creek Café & Bakery in The Frog Hollow Mill Building just down the street. 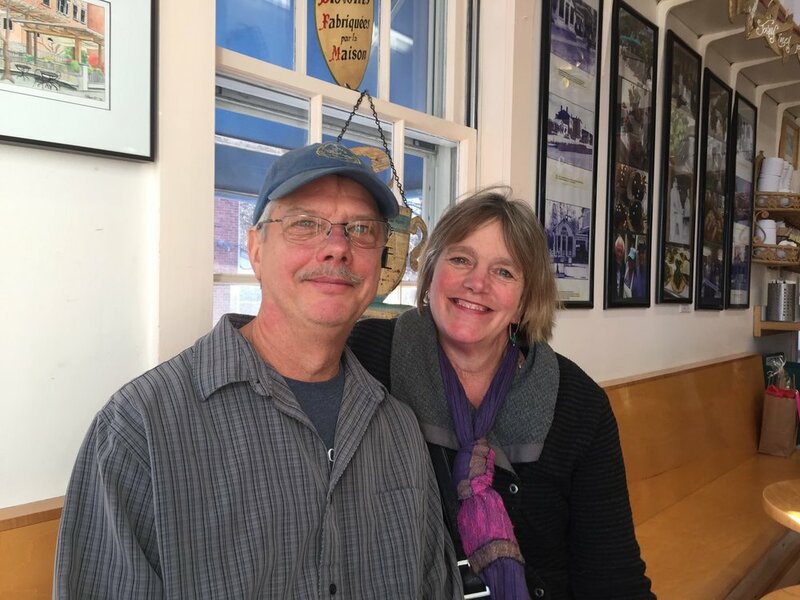 This was their first venture together as a team after many years of working the seasonal restaurant circuit with Ben training in various kitchens since 1975 and Sarah joining him in 1979 on Nantucket Island. They apprenticed with many chefs across the United States from Miami to San Francisco in the off season, returning to Nantucket for summers gaining experiences along the way. Settling in Vermont after months of survey and statistical analysis, Ben and Sarah found Middlebury to be a perfect location for their business. In 1989 they purchased an old Esso Station on College Street which they completely renovated into the current Otter Creek Bakery, running the Café in Frog Hollow all the while. In 1991 they sold the café business to concentrate solely on the bakery. Ben still offers his Café Menu through catering and special orders from the kitchen while Sarah is forever fine tuning the bakery's offerings and experimenting with new ideas. Now, 30+ years later they still love what they do, can’t fathom working for someone else and really don’t go to work, but go to PLAY! It shows in the product, staff and open atmosphere that their hearts are in the kitchen. We do not offer deliveries except for large catered parties or weddings. If you need a birthday cake delivered to Middlebury College or vicinity- our local florist will do that for you if you also order flowers or balloons from them. Call Middlebury Floral & Gifts 802-388-2800. Big Thanks to our terrific customer’s and crew for another banner year! !